Sunken Secrets will take your TM gaming skills to the next level. Be prepared to invest time and energy in this addicting underwater adventure! 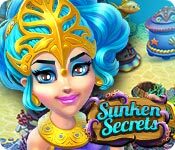 Earn money by farming and selling goods as you attempt to break the spell of an evil witch that has enchanted the island and released a sea monster to enslave the islanders in bodies that are not their own. Plan your strategy and use magical alters to restore the island & its grateful islanders back to their natural forms. Dive in and enjoy this spectacular TM adventure of skill and strategy like you have never seen before! 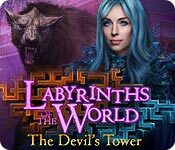 Use our Labyrinths of the World: The Devil's Tower Walkthrough to navigate this latest earth shattering adventure game. You and your sister Margret embark on a trip to initiate her into the family business as a seeker. However, as to be expected all will not go as planned. An out of this world evil force has made his way to Earth and has vowed to destroy it an all its inhabitants. Did I mention that this evil force has command of all of the elements? The deck is stacked against you as you fight for mankind. Complete the creative hidden object areas and mini games as you battle to defeat this force and return life to normal. If you run into trouble or just need a little assistance please refer to our colorful screen grabs and quick & easy instructions to guide you to salvation. We hope you enjoy our Labyrinths of the World: The Devil's Tower Walkthrough. Roblox can be a confusing world for both parents and kids alike. 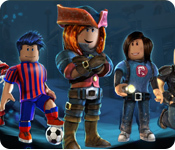 Join Caleb this week as he gives a brief introduction on what exactly is this Roblox game all the kids are talking about, how you can get started playing the game, and just exactly what you need to do to get the most out of this exciting game. It's Roblox mini-game time! Join Caleb for another exciting episode of Caleb's Corner as he gives you a quick walkthrough of the Roblox world and the different mini-games you can encounter as you play. 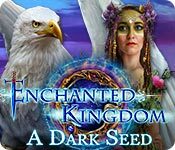 Our Enchanted Kingdom: A Dark Seed Walkthrough is ready to guide you through the ailing Empire of Tar. The people are desperate for your healing due to an outbreak of dark magic disease that is spreading throughout the kingdom. You are the only one immune to the affliction and it is up to you to help remove the forces at play. Our walkthrough will ease you through the numerous hidden object areas and lead you forward with easy instructions and screen shots. Hurry because time is running out and the people of Tar need you! 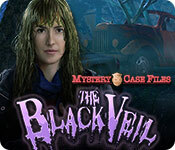 Mystery Case Files: Black Veil Released Today! The highly anticipated game, Mystery Case Files: Black Veil Collector’s Edition, is finally here!